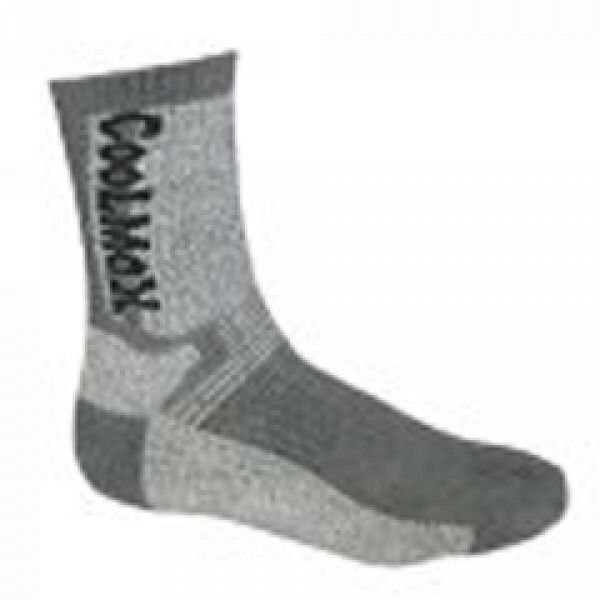 Premium Midweight Coolmax Hiking Socks to keep your feet dry and comfortable. This rich fabric is super soft and durable. You'll love the soft cooling feel of these Coolmax socks. COOLMAXÂ® is a four channel fiber that wicks moisture to keep your feet dry. It dries five times faster than cotton and performs under a variety of temperatures and conditions.